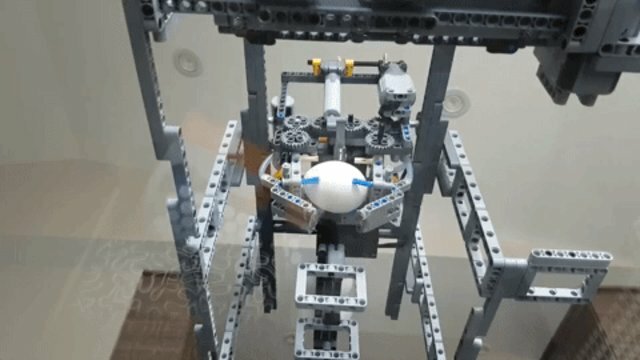 You're a normal American who values owning things like cars, watches and jewelry, so why not have a Lego robot in your kitchen that prepares breakfasts? Ok, so you can't actually have this thing in your home, because the hedonists who run YouTube's The Brick Wall are the sole proprietors of this robotic chef. Still, The Breakfast Machine, as it's aptly called in the video, is a wonderful marriage of engineering and the culinary arts. The machine can drop your bacon strips onto a griddle, crack eggs, and season them until they're fully prepared and ready for human consumption. According to the video's description, the breakfast machine was a gift for somebody's dad. Wherever the man is, he's very fortunate to never have to cook breakfast for himself again in his life. Your move, remote control beer cooler.